Research shows that Angelica essential oils have the properties that can boost the body's resistance to sickness-causing toxins and infections. Its aroma is also widely used for therapy that is focused on stress relief, relaxation, and management of anxiety attacks. - Can be applied directly on the skin as a massage oil, via a diffuser, mixed in a bath, or inhaled directly. - For detox purposes, improvement of gut functions and lymphatic system, just add one drop or two in a bath or to a carrier oil. - For dysmenorrhea, massage the abdomen with 1-2 drops of Angelica oil combined with a carrier oil to improve monthly period and minimize the menstrual pain. - To improve respiratory function and minimize shortness of breath, use it as a vapor inhaler. Just diffuse 1 drop of Angelica root oil, 2 drops of clary sage, 2 drops of orange, and 4 drops of spruce oil using a diffuser and inhale it. - For skin rejuvenation, combine together 2 drops of Angelica essential oil, 2 drops of Frankinscence oil and small amount of jojoba or argan oil. Use as a regular lotion. Get Your Angelica Root Essential Oil Now! I am loving Angelica Root! 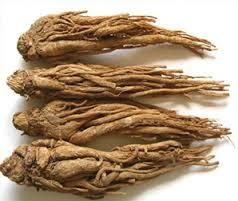 It is used for the treatment of colds and congestion. I made a small rice pack which I put a few drops in which either me or my kids and husband use when we feel congested or a cold coming on. It works at healing and we haven't had any complaints actually my kids ask for the pack when they are feeling sick. I like how the bottle allows me to drop just enough drips that I need without going overboard. Instead of loading our bodies up with chemicals and different types of medicines Angelica Root is my go to for all healing solutions.